As an International Marathon Runner, healthful and delicious dishes come naturally. 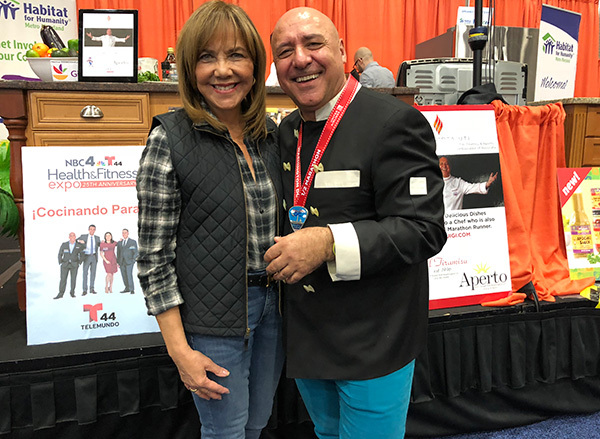 Luigi shared recipes from his Al Tiramisu Restaurant Cookbook as he wowed the crowd at NBC4’s 25th Health & Fitness Expo. Barbara Harrison moderated as Chef Luigi and his son Enea Diotaiuti prepared healthy food and healthy drinks.